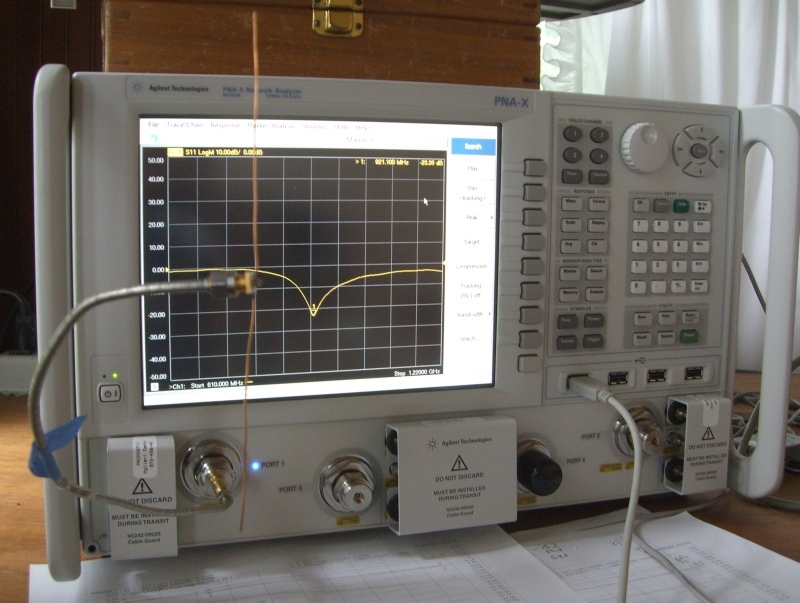 For the last week I've been measuring the characteristics of the rfm69's transmitter on an Agilent N9030A Vector Signal Analyzer. I've also synthesized the packets using an Agilent MXG Vector Sig Gen. I originally planed on using Moteino's to simply activate some relays. After reading the data sheet I got really excited about the radio's other possibilities. Since I don't need high speed I decided on a middle of the road solution. 1200bps. The results on my first drive test. 1.5 miles!!! I'm quite sure it's even further, but the road ended at the lake! Pretty much line of site. Heading in another direction with thick woods abt a half mile. 900 MHz gets absorbed by foilage. 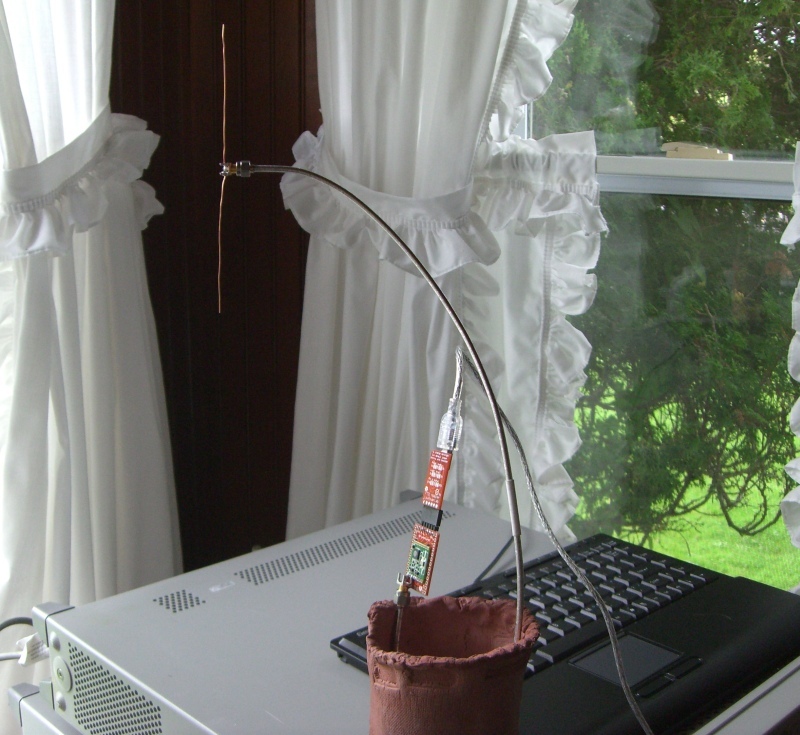 The setup allows reception down to -113dbm rssi. Test conditions are: tx radio setting on my desk in the house. About 6 ft above ground. Rx radio handheld in my car, abt 3 ft above ground. Both radio's with 1/2 wave vertical dipoles. Tx power +20dbm. This is preliminary and I still have work to do. I think I can still squeeze some more distance out of it. Stay tuned. I'll be posting the details as I get things sorted out. Will definitely keep an eye on this one. Your research is very much appreciated. Looking forward to more details - like how you setup the antenna, and how you tweaked the settings (assuming you used my lib at all). Yes the datasheet does have a bunch of things that could be very useful in certain applications. I stopped short of implementing them at first but those features could be added later, or augmented in an inherited class. The simple dipoles are shown in the attachments. The length of each side is 77.4mm. BTW I have written some functions and included them into my copy of your lib: readTemp, getFreq and setFreq. I was thinking I would put my version on a GitHub page, but I like your idea of using an inherited class. I don't spend much time with c/c++. More time with c#. Can you put together a class skeleton that inherits from your lib and e-mail it to me. Just put a simple function in it, so that I can see how it works. I don't want to spend a ton of time re-inventing the wheel. I can't find an attachment (in your 2 posts so far in this thread). I did move the thread from the general category... maybe got lost in translation, or maybe I'm missing it altogether? Copy the RFM69NEW .h and .cpp files in the Arduino/libraries/RFM69 directory. This gives you a new RFM69NEW class which inherits from the RFM69 and has a dummy new function newFunction(byte argument). The using_RFM69NEW.ino is just an Arduino sketch for a receiver making use of the RFM69NEW class. Thanks for the files Felix. The pics I tried to send were way to large to add to the post. I'll email them to you. Feel free to change the resolution and post them if you wish. Here are the photos, thanks John! Hi, What settings do I change to lower the bitrate / baud rate of the rfm69hw and the rfm12b?